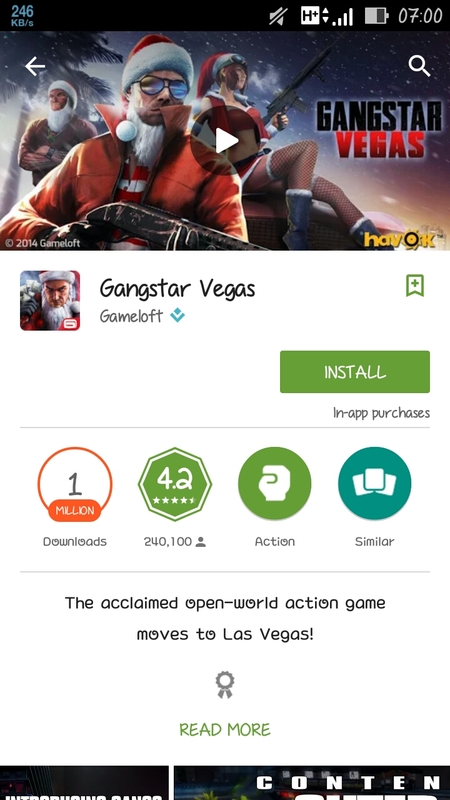 Gameloft has released an update for its Gangstar Vegas action game for Android in the Google Play Store brigs some new features and change the game for free to play. • The game is now free for all! • New vehicles, cool guns, wild costumes, and much more! • CHAT in real time with your fellow gangsters. • GANG BATTLES: Fight with your Gang against rivals and win big prizes. • DIAMONDS: A new currency you can earn or buy to unlock content & play events. • HOLIDAY HAVOC: Celebrate with a freefall mini-game, Sugar-Coater gun, Santa’s Sleigh and more!